Wolfgang Puck’s collection of airport dining locations offer the chef’s signature cuisine in a fast-casual setting and at an affordable price point. 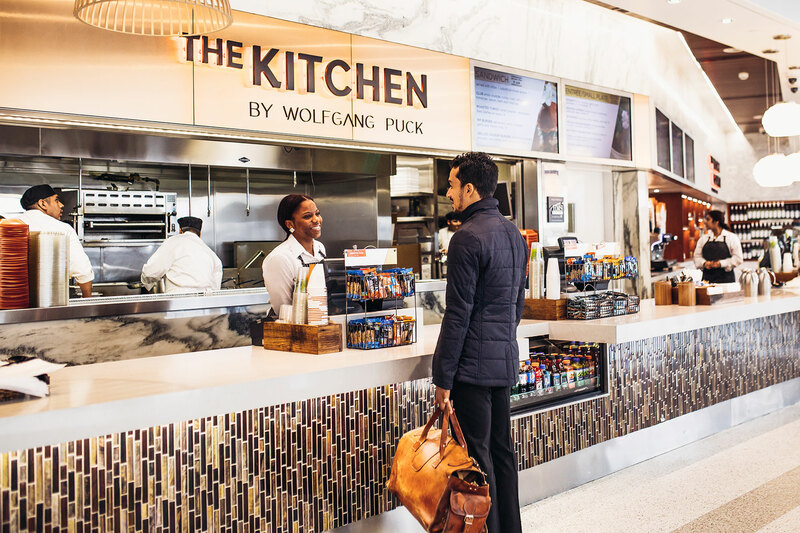 Designed with efficiency for the traveler in mind, Wolfgang Puck airport restaurants and grab & go kiosks feature the chef’s interpretation of global comfort fare, using the best available, locally-sourced ingredients. Whether a leisurely breakfast or lunch, a cocktail at our bar, family dinner or quick bite on the move, Wolfgang Puck promises a warm and inviting dining environment and a welcome respite from the bustling airport terminal.